Two mounds at the southern end of the New King Barrows, close to the A303. About 1.4 km to the east of Stonehenge in a small wood lie two sets of Bronze Age round barrows bisected by the Stonehenge Avenue. These are known as the Old and New King Barrows and date from roughly the same period as the third phase of building at Stonehenge. 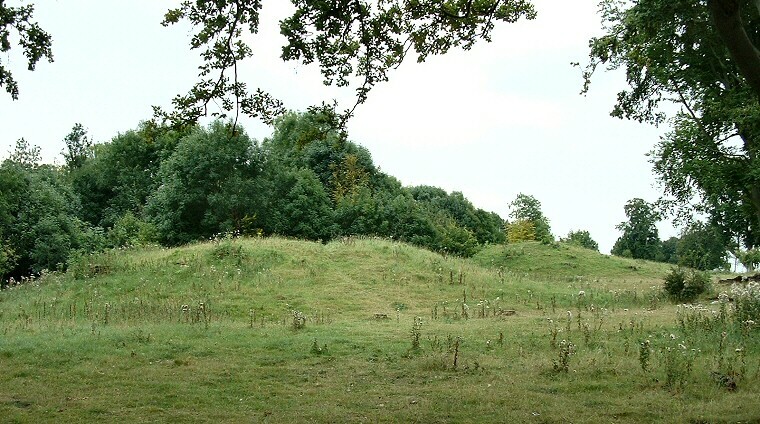 The Old King Barrows consist of seven bowl barrows to the north of the Avenue, while the five bowl barrows and two bell barrows of the New King group stand to the south of the Avenue. Due to their close proximity to Stonehenge they have received much attention from antiquarians and treasure hunters over the years - in the 17th century the Duke of Buckingham found a 'bugle-horn tipt with silver at both ends' as well as goat and stag horns. William Stukeley also mentions a 'very large Brass weapon of twenty pounds weight, like a pole-ax'. There have been finds of several burial pits in this area that are thought to date to the Neolithic and contained many flint implements such as axes and knives as well as cremation remains. One of the most interesting finds was an inscribed chalk plaque decorated with deeply carved chevrons and cross hatching and estimated to be between 4500-5000 years old. 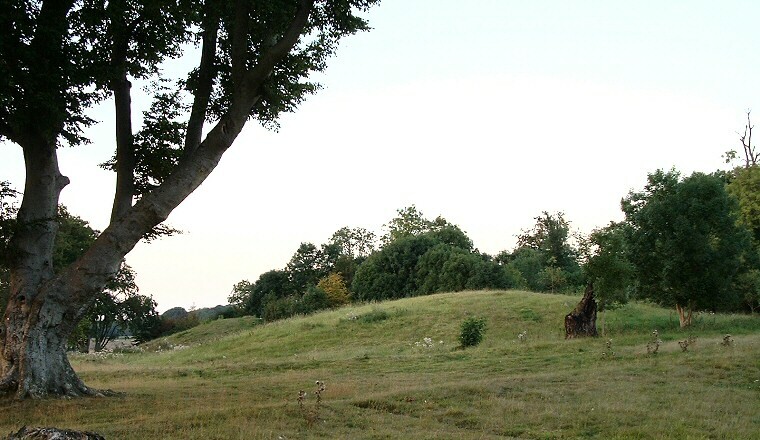 A pair of barrows at he northern end of the New King Barrows, close to the Avenue.